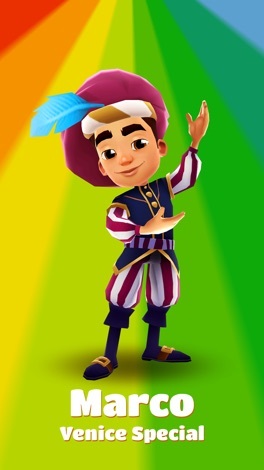 In Subway Surfers, the goal is to help Jake, Tricky and Fresh escape from the evil inspector and his dog and get as far as possible in the game, trying to get a high score. 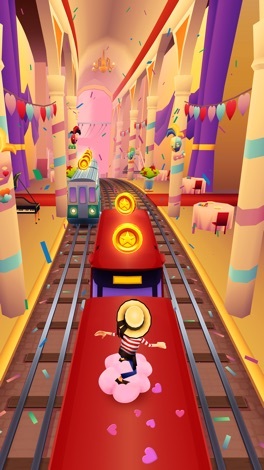 This is an exciting action game with amazing graphics and it's not possible to get bored with it: you must be alert at all times, since your reflexes will be put into test. 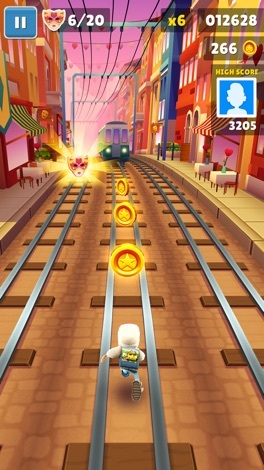 Avoid all obstacles and collect the coins in order to purchase the boosts that will help you get a better score. 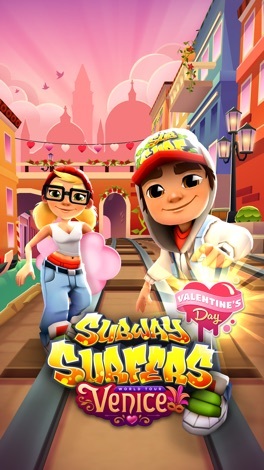 The graphics stand out the most and the game is all fun, perfect for passing the time in the subway or before going to bed. 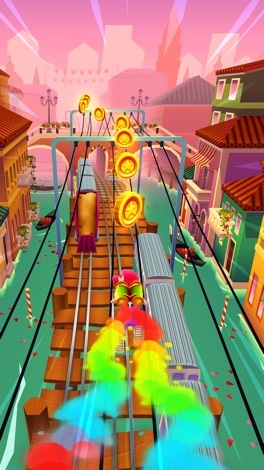 Kiloo Games is the developer of this amazing game, Subway Surfers and other apps for Android. We highly recommend that you try it out and feel the energy coming instantly!